I have been looking for quite a while and I cannot find a manual for the Incognito's basic function. I'm interested in keyboard shortcuts and basic functional instructions as well as using the SIDE component of it. Is there a good page or PDF? I see many great resources for installation, but this unit was installed by someone else who at the time was experienced. Nowadays I'm sure I could do it myself if needed. And the board did work before, so I would assume it's functional. Side loader ('L' from Incognito menu) just shows flashing characters on the left, whether I have a flash card installed or not. I tried switching to SpartaDOS and now the 'atr' key and reset only bring up SpartaDOS. It worked before. I can't get back to the Incognito menu. I was mainly hoping to use the SIDE function to play some games and update the firmware in the Incognito and SIDE as needed. I'd love to do more like try the new GUI, but first things first. I used the system a few years back but just pulled it out to mess with it again. I've been mainly using an XL with a Harmony cart. If you flash my firmware to it, you get a comprehensive user manual describing BIOS configuration and loader functionality. Everything's on the website in my signature. 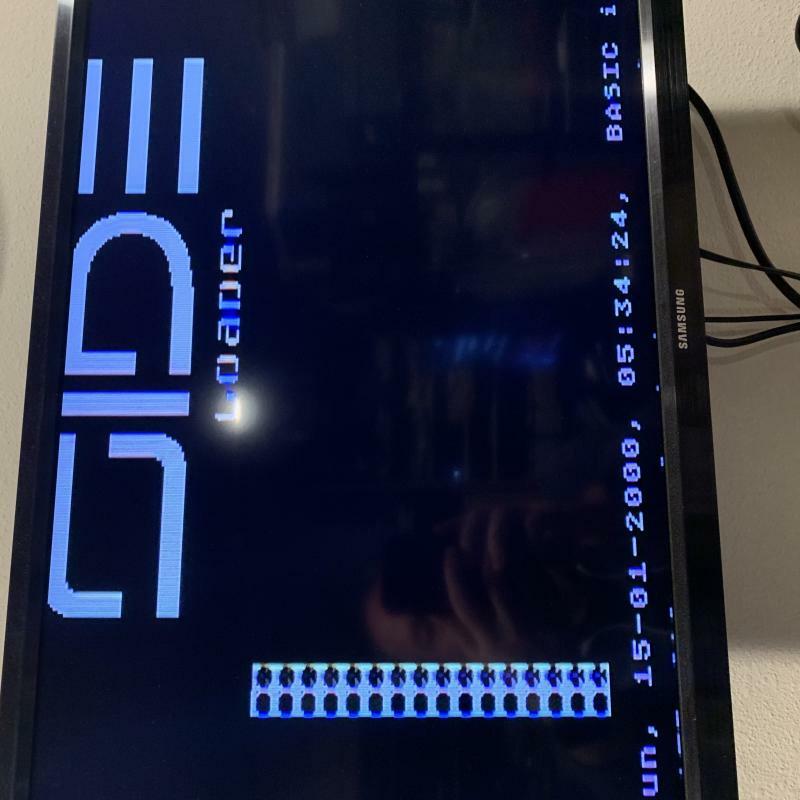 I know you hate answering redundant questions, but it appears that I need to use the Side loader functionality to load the Uflash.xex in order to update the firmware. I can't even get to that stage. I'm stuck in SpartaDOS and before that, the Side loader doesn't show files, it just shows flashing characters. I will recheck the flash card, but it did work a few years back and came setup with the unit. Oddly or not, this 800 ignores all cartridges. I don't know how to tell the Incognito to boot cartridges (which I know is the normal first startup sequence in a stock 800, so the Ultimate cart is out of the question. I can try running Uflash from an SDNuxx. 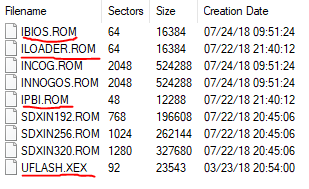 Also of note is that the Incognito firmware update folder you have on your site doesn't have Uflash.xex in it, just some other .atrs. I haven't messed with them since again, Incognito not working or I don't know how to make it work. I would love to find out how to access joy ports 2 and 3. A manual would be so helpful. Candle? Anyone? Still unable to update this Incognito. Really need some help. 2. Mount the supplied update ATR (FIRMWARE.ATR) on drive 1. Firmware update does not include any ATR called "FIRMWARE.ATR". I'm assuming that I'm supposed to use "Incognito_full.atr". 3. Enable XL/XE mode and SpartaDOS X in the Incognito BIOS. 4. Disable ‘SIDE Hardware’ (original BIOS) or ‘PBI BIOS’ (new firmware). 5. Ensure extended memory is set at ‘1088KB RAMBO’. 6. Save the setting and press ‘C’ to reboot the machine. 7. You should see the SpartaDOS X prompt ‘D1:’. Type UFLASH.XEX and press Return. Instructions don't mention anything about mounting UFLASH.XEX, and this file is not included with the BIOS upgrade. Am I supposed to download it elsewhere? And when I run the side loader with "L" from the main menu, I get this junk. I am mounting the .ATR with an SIO2SD. I'll post a picture in a minute. And does the firmware contain the menu program, as opposed to the SIO2SD which requires a menu program in the root directory of the SD? Edited by ianoid, Mon Apr 1, 2019 12:28 AM. Apologies about the inaccuracy regarding file nomenclature. The firmware is deployed across half a dozen platforms and sometimes the changes creep in after the readme was written. I have tried to eliminate such discrepancies from the forthcoming update. There's UFLASH.XEX and the three firmware ROMs you need to flash to the Main BIOS, Loader, and PBI BIOS slots respectively. Before proceeding while in a state of acute frustration, some basic concepts of operation need to be grasped which can't be fully explained here. The 'junk' you're seeing is Candle O'Sin's original SIDE loader with - apparently - no media in the CF card slot. Neither the old or the new SIDE loaders have anything whatever to do with media mounted on SIO2PC or SIO2SD devices. The purpose of the SIDE loader is to run XEX and ATR files straight off a FAT formatted Compact Flash card plugged into the CF slot on your Incognito board. Yes: you're looking at it in the photo. It's replacement looks different but - broadly speaking - serves the exact same purpose. Thanks for the detailed reply, which helped me get all the way to the point of installing the BIOS using an external SIO2SD device. Unfortunately the 800 hung when it went to "ERASING BIOS". I gave it a good 40 minutes. At that point I had to go somewhere and I didn't want to leave it on. The manual didn't say anything about it taking a really long time, so I would assume the flashing failed. The unit doesn't boot now. I shut it down knowing I'd probably need to use a flash programmer. I haven't flashed anything before, I'm happy to learn how. I have the recommended programmer, but I had to order the adapter for the flash chip on Amazon. Should take a week to reach me. What file should I flash it with? I think I recommend a TL866 in the manual, although the more pressing issue is that there is an hardware problem overlooked by the experienced installer which caused the update to fail and is presumably responsible for the unusual characters on the screen in your photograph of the loader. When you get a USB flasher, apply one of the 512K files I mentioned previously. So it looks like I should go through the installation manual and confirm everything is set up properly? I'm at a different point than when I bought this. I could comfortably do the install myself. Yes: be assured this is not a normal outcome, since the PLCC flash ROM failed to acknowledge the sector erase command issued by the flasher, bringing the whole process to a grinding halt and leaving the important firmware area of the chip partially or fully erased. The idea of UFLASH was to empower users to undertake such firmware upgrades and ROM slot updates themselves in a convenient relatively safe manner, but of course it's the unusual failures which one reads about on the forum. I have a TL866 here on the desk and have always required a USB flasher, especially when developing the Incognito firmware (since the Incognito firmware cannot be tested in emulation and has to be committed direct to real hardware here during development), although it's now only powered up when I am recovering a device for someone else who experienced a mishap. I think the last time I had to use the TL866 to recover one of my own (six) U1MB/Incognito machines (which are updated incessantly) was two years or so ago when the CPLD code on one of the U1MB boards had somehow become corrupted, breaking the extended RAM banks and resulting in a bad flash. Recovery there was a two-step process, of course (reflashing the ROM and reprogramming the CPLD). It is apparent you have put a lot of effort into the firmware, BIOS and manual, and despite this not working in the easiest way for me, I am very appreciative. I'll work on this more as the programmer part arrives. I only wish more Incognito boards would be made so that more people could enjoy this awesome hardware. Edited by _The Doctor__, Tue Apr 9, 2019 2:36 PM. makes you wish they came with the update and bios/rom already installed.. While it may be desirable to offer the latest firmware pre-installed on the device, that's hardly an option for anyone retroactively seeking to update an Incognito board, and avoidance of firmware updates out in the field makes it difficult for me to deliver improvements via updates. As it happens, Lotharek has started offering Ultimate 1MB boards with last July's 'alt' firmware pre-installed, but at a premium of 100 PLN over the price of U1MB with the 'regular' firmware. Despite the fact that a portion of that premium covers a firmware licence paid to the author, I would still encourage users to get used to updating devices themselves wherever possible. The price differential between the old and new firmware (or, if you want to look at it another way, the very fact hardware with the original firmware is still offered at all alongside hardware carrying the new firmware) presents a scenario whereby a customer pays an extra 100 PLN for a device with the firmware pre-installed, only to discover I have subsequently issued a firmware update which is available free of charge from my website and which can be applied in the space of five minutes.